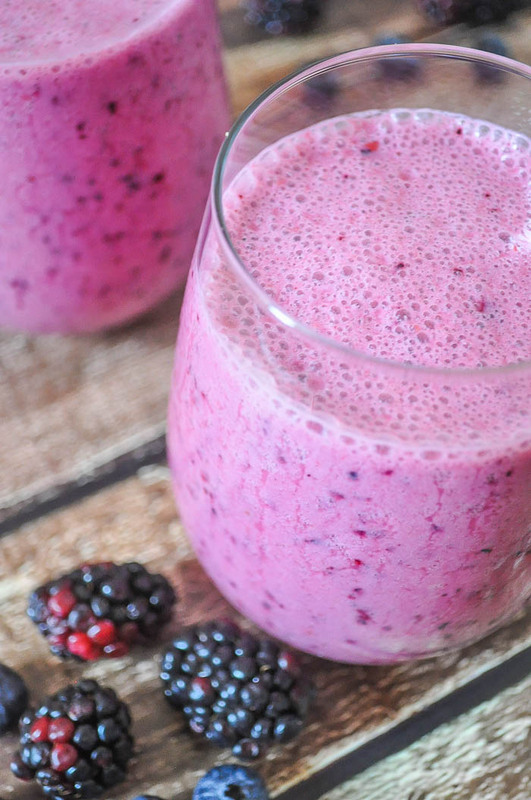 This Blackberry and Blueberry Coconut Smoothie is pretty in purple! While I believe that breakfast is the healthiest meal for everyone, I know that I am someone who definitely needs breakfast. It can sometimes be hard though to eat a healthy breakfast and be on the go or dive straight into work, which is why I love smoothies. 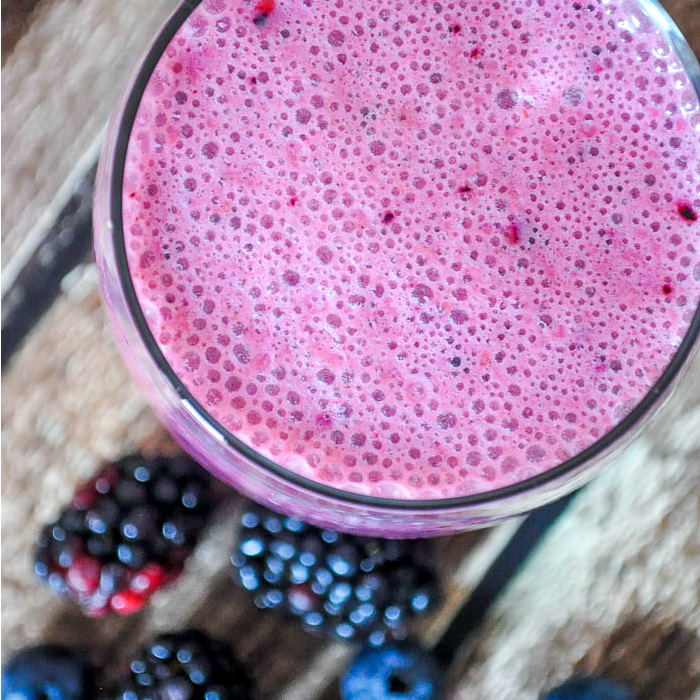 A healthy smoothie is an easy way to start the day off right without taking a lot of time. It’s definitely healthier than donuts or boxed pastries. Plus, sipping on a drink while working or commuting is a lot easier (and safer) than other food. 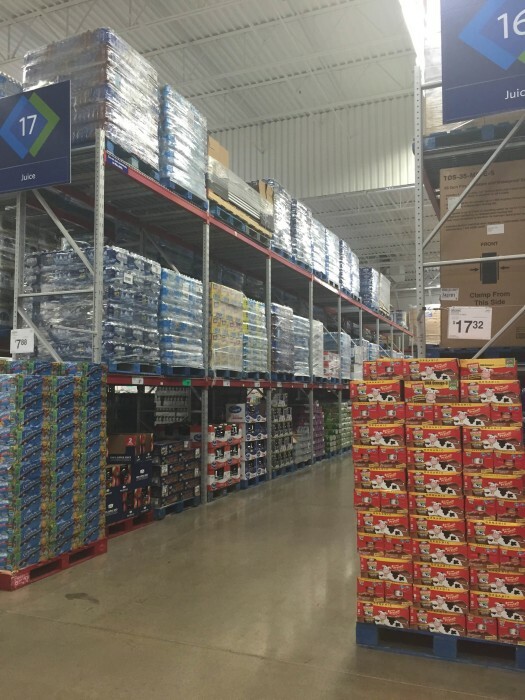 Whenever I head to Sam’s Club, I always stock up on fresh fruit, but this time I also decided to look for some Coconut Water. I was really excited about the Coconut Water that I found because it’s in a box with smaller, individual servings of Coconut Water. This means it takes up less space in my fridge which is limited in space anyway AND they are perfect serving sizes to make two smoothies for both Bryan and I. It’s really convenient! 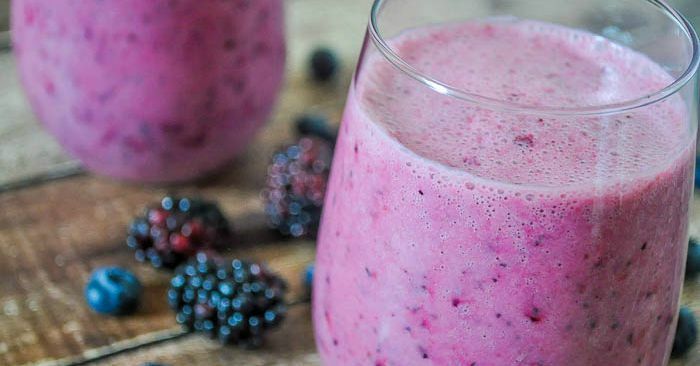 For this smoothie, I decided to go with both blackberries and blueberries. 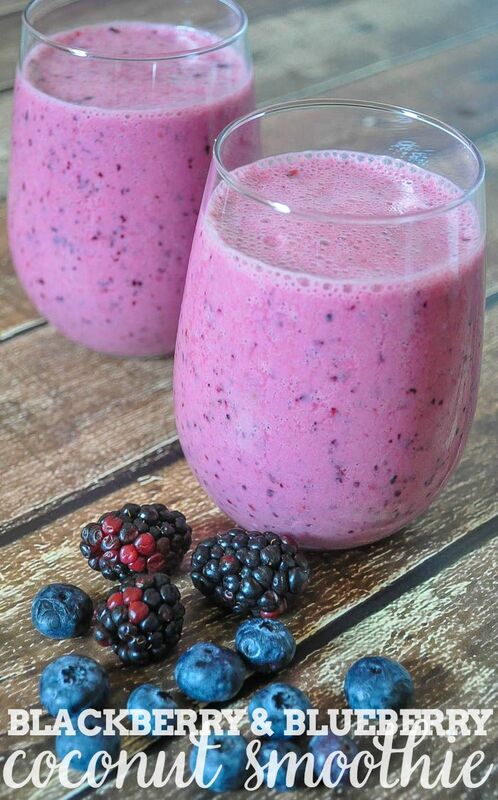 When you use darker berries, the color comes out almost purple which is just gorgeous! 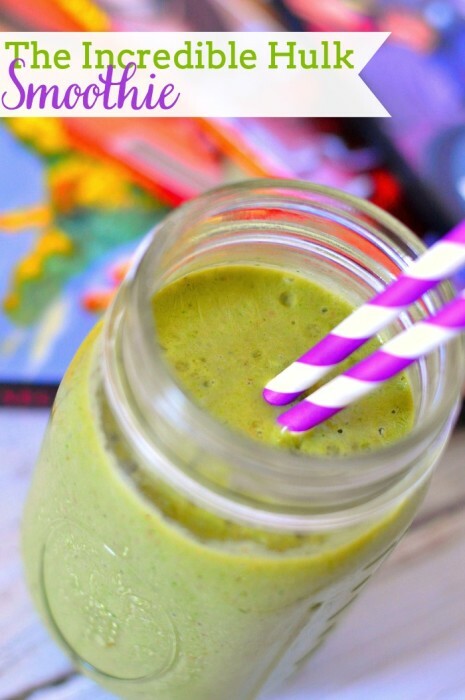 I love a good green smoothie, but this one just makes me feel happy! NOTE: You can use plain greek yogurt but you might want to add a little honey to help sweeten the smoothie. NOTE 2: You can always add some spinach into the mix for some healthy greens (the berries will cover the taste) or a banana or avocado for some extra creaminess. Add everything to the blender and pulse away until smooth! Coconut is a hot topic this month in the Sam’s Club Healthy Living Made Simple Magazine. 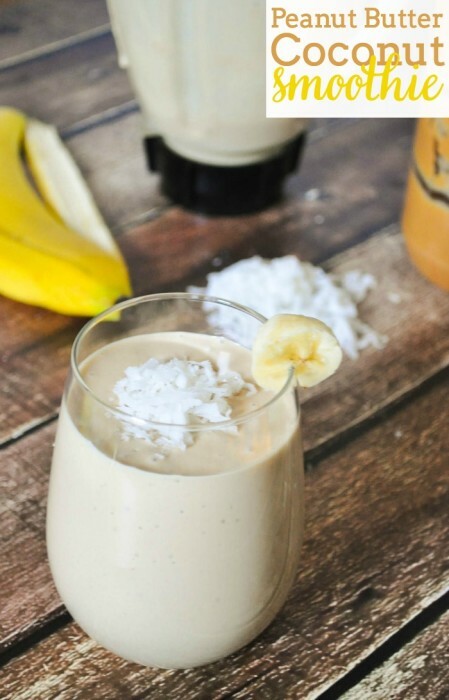 You should head over to see more coconut recipes, including another yummy smoothie! The best part about this magazine? It is filled with great tips and is available online for easy reading. Sam’s Club is really devoted to healthy living and even provides FREE health screenings. The next one is 9/12 so make sure you save the date and head over for the details. Plus, the next time you are in Sam’s Club, make sure you head over to the juice aisle and grab the coconut water for this smoothie. Did you know that Coconut water’s electrolyte composition is almost identical to human blood plasma? Me either! But I learned it from the Sam’s Club Healthy Living Made Simple Magazine section on Coconut.